A group of British academics have called on singer Elton John to cancel his scheduled performance in Israel this June. You may say you're not a political person, but does an army dropping white phosphorus on a school building full of children demand a political response? Does walling a million and a half people up in a ghetto and then pounding that ghetto to rubble require a political response from us, or a human one? Political or not political, when you stand up on that stage in Tel Aviv, you line yourself up with a racist state. In the letter, the group urged John to read the Goldstone Commission's report on Israel's conduct during the war in Gaza last year in order to understand why his performance carried an inherently political undertone. "You may say you're not a political person, but does an army dropping white phosphorus on a school building full of children demand a political response? Does walling a million and a half people up in a ghetto and then pounding that ghetto to rubble require a political response from us, or a human one? "You're behaving as if playing in Israel is morally neutral - but how can it be? How can the cruelties Israel practices against the Palestinians - fundamentally because the Palestinians are there, on Palestinian land, and Israel wants them to go - be morally neutral?" "Okay, you turn up in Ramat Gan, and it gets to that 'Candle in the Wind? moment, and thousands of lighters flicker - but there won't be any Palestinians from the Occupied Territories swaying along with the Israelis - the army won't let them leave their ghettoes. "Please read what Judge Goldstone said about the onslaught on Gaza; what Amnesty International and Human Rights Watch have been saying for decades about the crimes committed against the Palestinians. Of course the Israeli state denies it has a case to answer, though it's knee-deep in ethnic cleansing and land-theft and the endless daily suffocating of Palestinian lives and hopes." 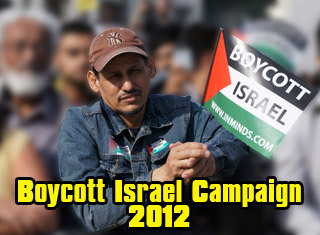 Israel boycotters succeeded just weeks ago in convincing Santana to cancel his own performance. Similar attempts to get Leonard Cohen and Paul McCartney to stay away, however, failed. 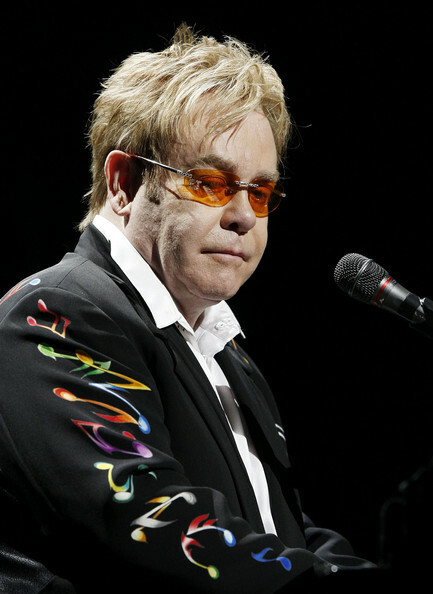 BRICUP has sent an open letter to Elton John asking him to cancel his planned concert in Israel in June. Like much of the world, we think you’re a good bloke. You came out when it was difficult; you admitted your addictions were stronger than you were; you’ve poured money into AIDS research. Oh, and then there’s the music – not bad at all. But we’re struggling to understand why you’re playing in Israel on June 17. You may say you’re not a political person, but does an army dropping white phosphorus on a school building full of children demand a political response? Does walling a million and a half people up in a ghetto and then pounding that ghetto to rubble require a political response from us, or a human one? We think it needs a human response, and we think that by choosing to play in Tel Aviv you’re denying this. You’re behaving as if playing in Israel is morally neutral – but how can it be? How can the cruelties Israel practises against the Palestinians – fundamentally because the Palestinians are there, on Palestinian land, and Israel wants them to go – be morally neutral? Okay, you turn up in Ramat Gan, and it gets to that ‘Candle in the Wind’ moment, and thousands of lighters flicker – but there won’t be any Palestinians from the Occupied Territories swaying along with the Israelis – the army won’t let them leave their ghettoes. Please read what Judge Goldstone said about the onslaught on Gaza; what Amnesty International and Human Rights Watch have been saying for decades about the crimes committed against the Palestinians. Of course the Israeli state denies it has a case to answer, though it’s knee-deep in ethnic cleansing and land-theft and the endless daily suffocating of Palestinian lives and hopes. Political or not political, when you stand up on that stage in Tel Aviv, you line yourself up with a racist state. Do you want to give them the satisfaction? Elton John: Don't Entertain Apartheid AGAIN! The Palestinian Campaign for the Academic and Cultural Boycott of Israel (PACBI) was genuinely troubled to learn that that you are scheduled to perform in Israel in June, in violation of the widely-endorsed Palestinian Guidelines for the International Cultural Boycott of Israel . We call upon you, as a world famous artist and a public supporter of key human rights organizations such as Amnesty International and Oxfam, not to perform in Israel, a state that maintains an illegal and inhumane system of occupation, colonization and apartheid and that has been widely accused by leading UN experts and human rights organizations, including Amnesty, of committing war crimes and other grave violations of human rights. It was reported that your 2008 South African tour was billed as your first tour of that country. However, it seems you had actually played in South Africa in 1983, at the height of the apartheid regime, in violation of the South African cultural boycott campaign. This was your 1983 gig in Sun City, the lavish casino sited in one of the regime‘s Bantustans until they were reintegrated into South Africa following the first democratic elections in 1994. At that time, popular democratic movements in South Africa, such as Nelson Mandela‘s African National Congress, were calling for international artists to boycott South Africa. Today a virtual consensus exists in Palestinian civil society, as represented in the BDS National Committee (BNC), behind the call for boycotting Israel until it complies with its obligations under international law and recognizes Palestinian rights, including the right to self determination. We urge you not to be on the wrong side of history again. The Palestinian cultural boycott campaign against Israel, which is endorsed by an overwhelming majority of Palestinian cultural workers and cultural institutions , won the support of internationally acclaimed cultural figures of the stature of John Berger, Ken Loach, John Williams, among many others . 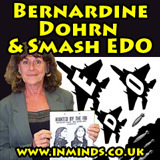 It does not target "cultural expression," as misleadingly claimed by boycott opponents; rather, it aims at exposing the abuse of culture to deflect attention from persistent violations of human rights and international law and to hold accountable those who ignore these severe violations and allow themselves to be complicit in covering them up. Your show in Israel would substantially contribute to Israel‘s celebration of its occupation and apartheid. It would abet Israel‘s intensifying campaign of whitewashing its worsening global image in the wake of its war crimes in Gaza, as detailed in the report issued by the UN Fact Finding Mission, headed by Justice Richard Goldstone. By consistently trying to lure renowned performers, particularly after its massacre in Gaza, Israel has aimed to "rebrand" itself  as an enlightened and cultured country, while at the same time continuing to dispossess Palestinians, to deny them their freedom and other basic rights, to throw them off their land, and to destroy their homes in order to build new Jewish-only colonies. Your performance in Israel would also violate the almost unanimously endorsed Palestinian civil society Call for Boycott, Divestment, and Sanctions (BDS) against Israel. This call is directed particularly towards international activists, academics, and artists of conscience, such as yourself. The Israeli press reports that your concert is set to be sponsored by Israel Discount Bank. This Bank‘s trading room and other computer services are run by an Israeli company called Matrix IT and located on land stolen from the Palestinian village of Bil‘in by the illegal settlement of Modiin Illit. Israel Discount Bank, which finances construction in the settlements of Har Homa, Beitar Illit and Ma‘ale Adumim, is the second major shareholder of Mul-T-Lock, whose factory is located in the industrial zone of Barkan, another illegal Israeli settlement in the West Bank. Israeli colonial settlements are illegal under international law and are considered war crimes under the Fourth Geneva Convention. For the last six years, Bil‘in, along with several other villages in the occupied Palestinian territory, has famously been waging a campaign of non-violent resistance to Israel‘s Apartheid Wall and colonies. This Wall, declared illegal by the International Court of Justice at the Hague in July 2004, confines Palestinians within a system of ghettos, Bantustans and closed "military areas," threatening the viability of whole Palestinian communities and cutting them off from access to their land, health and education facilities, resources and markets. International figures such as Archbishop Desmond Tutu and Jimmy Carter have endorsed the non-violent struggle against Israel‘s colonial Wall. It was reported that your 2008 South African tour was billed as your first tour of that country. However, it seems you had actually played in South Africa in 1983, at the height of the apartheid regime, in violation of the South African cultural boycott campaign. This was your 1983 gig in Sun City, the lavish casino sited in one of the regime‘s Bantustans until they were reintegrated into South Africa following the first democratic elections in 1994. At that time, popular democratic movements in South Africa, such as Nelson Mandela‘s African National Congress, were calling for international artists to boycott South Africa. Today a virtual consensus exists in Palestinian civil society, as represented in the BDS National Committee (BNC), behind the call for boycotting Israel until it complies with its obligations under international law and recognizes Palestinian rights, including the right to self determination. We urge you not to be on the wrong side of history again. This time, we sincerely hope you shall do the right thing and refuse to entertain apartheid Israel.